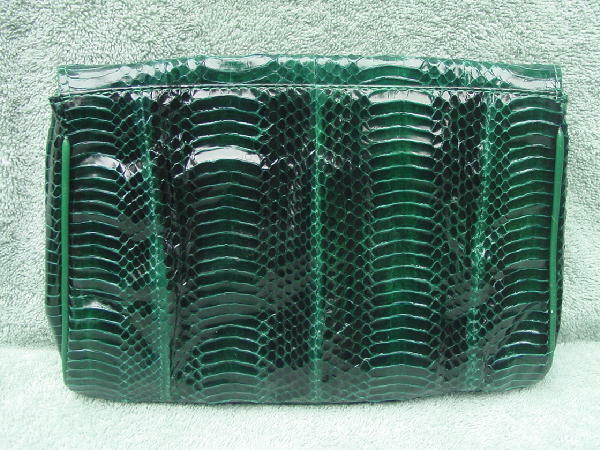 This vintage multi-tone green snakeskin clutch is by J Renee. The color has more teal highlights than it appears in the first two pictures. The last picture is closer to the color. 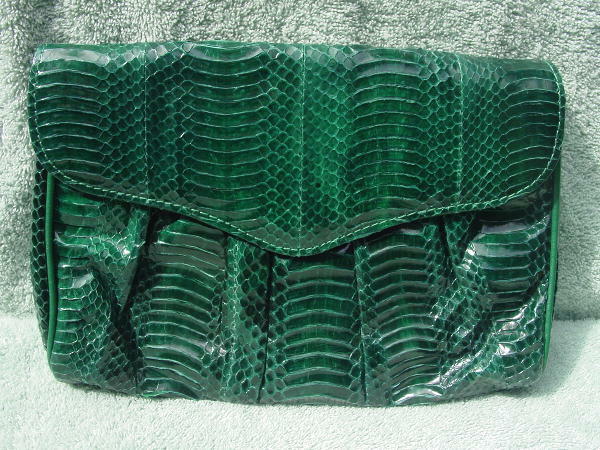 It has an envelope styling with a magnetic snap closure under the flap. On the interior of the flap are two gold-tone metal half circke loops so you could attach a gold-tone chain shoulder strap if you wanted to. 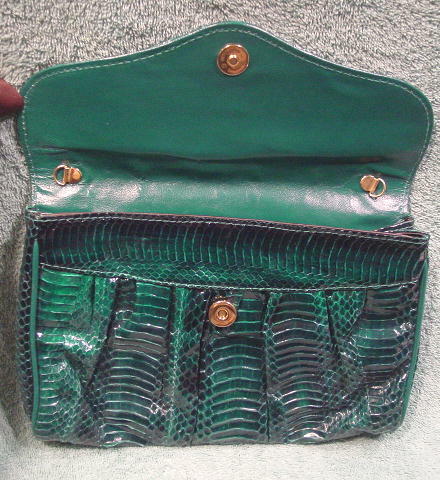 It has a black faux leather lining and interior zippered large pocket. It has nice large scales.